A Syrian refugee family waited after crossing the Syrian border in Karkamis, near the town of Gaziantep, south of Turkey, in January. Living next to a country consumed in conflict is never easy. Turkey is making the best of it. 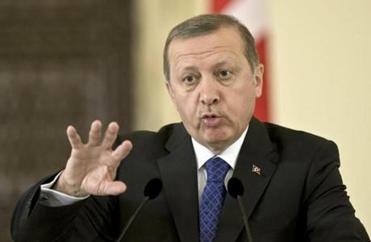 As civil war in neighboring Syria drags through its fourth year, however, Turkey is being sucked in. People I met a few weeks ago in the thriving Turkish city of Gaziantep, near the Syrian border, are nervous and worried. Life looks normal, but the sense of unease is palpable. Americans sometimes forget how difficult it is to live in a turbulent region. Turks know. Their country is a relatively stable democracy and NATO member. Near the border with Syria, though, chaos is literally just down the road. The most visible signs of nearby war are the nearly two million Syrian refugees who have surged into Turkey since 2011. It is a staggering figure, larger than the population of West Virginia or Kosovo. Turkey has done an exemplary job of dealing with the greatest humanitarian crisis of this century. Refugee camps like one I saw on the shore of the Euphrates River are clean and safe. All have health clinics, police forces, schools for children and adults, and even fire departments. 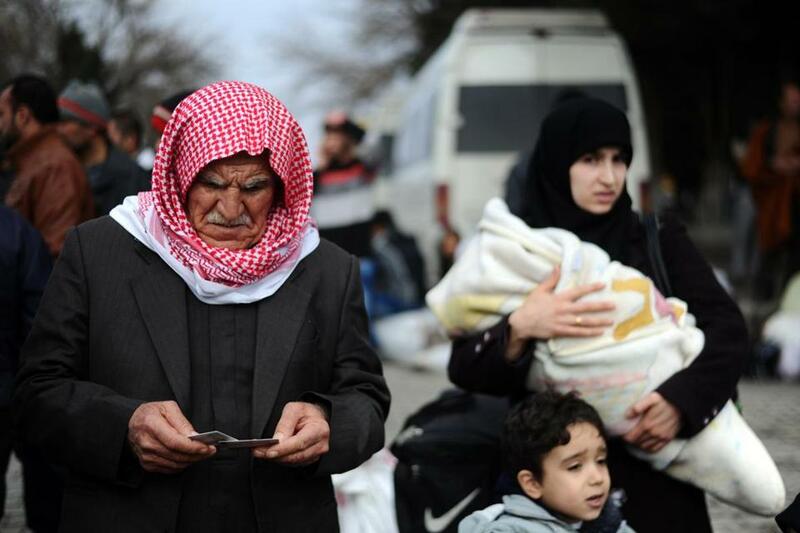 Over the last four years, Turkey has spent $5 billion to care for Syrian refugees. Upon arrival for the ceremony, Stephen Kinzer learned that President Recep Tayyip Erdogan had called him “an enemy” of Turkey. Cynics say that Turkey has a special obligation to care for refugees because its policies have contributed to prolonging the Syrian war. Turkey, like the United States, declared when the war began that it would refuse to negotiate with President Bashar al-Assad, or consider any political solution in which he played a role. Every journalist and activist I met in the border area told me that Turkey has clandestinely sent many truckloads of weaponry to anti-Assad fighters. Reports of this traffic have surfaced several times in the Turkish press, most recently a few weeks ago, when a news site posted footage it said showed three trucks full of arms crossing into Syria. President Recep Tayyip Erdogan was angry — not about the shipment, which he evidently authorized, but at the journalists who revealed it. He warned that they would “pay a high price.” In a previous episode, border police officers who stopped an arms shipment were prosecuted for espionage. No one I met could say which militant groups in Syria are receiving these weapons. Nor do they know whether the weapons come from Turkish stocks or are trans-shipped from Saudi Arabia or elsewhere. All agreed, however, that ISIS is conducting support operations inside Turkey with at least tacit approval from the Turkish government. American and European intelligence services have opened stations in Gaziantep. This onetime backwater is now in the eye of a geopolitical storm. I froze when I heard that word. Once I felt safe wandering the back streets of Peshawar, a Pakistani city near the Afghan border. Now it is a base for terror groups fighting on the other side, and highly dangerous for strangers. 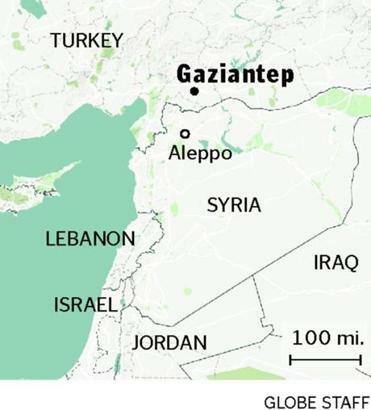 I cannot imagine anything like that happening in Gaziantep, partly because Turkey is a far stronger state than Pakistan and maintains tight control over its territory. Not everyone shares my optimism.